DailyEndorphin is pleased to announce the launch of our Android and iOS (Apple) smartphone apps! Both apps are a free value-add to our overall service and best utilized in conjunction with our highly flexible, affordable, “DIY” group fitness challenge app. Because DE is all about simplicity, the first version of both apps will offer easy key personal exercise, wellness, and nutrition logging and tracking, as well as live challenge leaderboard logging & tracking capabilities on the go. “We are excited about the new dimension our apps will bring on the engagement front to those DE challenge participants who are increasingly more tethered to their mobile phones than a traditional desktop or laptop computer,” said Jeff Mann, Co-founder of DailyEndorphin. Download our Android app and begin using in conjunction with a DE fitness or wellness challenge today. 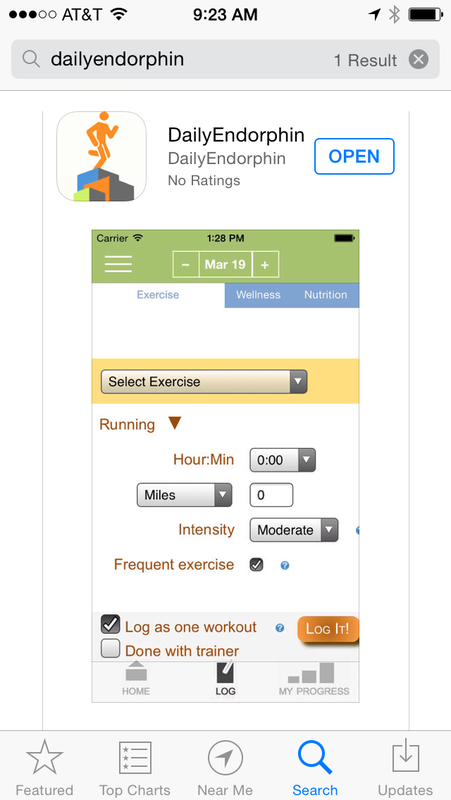 Download our iOS app and begin using in conjunction with a DE fitness or wellness challenge today. Over time DE will continue to add key features and functionality with future updates, including a built-in pedometer for those doing our steps challenges, meaningful push notifications & alerts, the ability to start and join challenges, and social networking capability to interact with challenge mates, among many others! DailyEndorphin enables groups of any size to easily set up friendly, configurable “DIY” wellness challenges based on recommended physical activity and healthy objectives. DailyEndorphin provides an interactive way to motivate and engage its users in healthy behaviors leveraging group dynamics, competitions, and goal-setting. 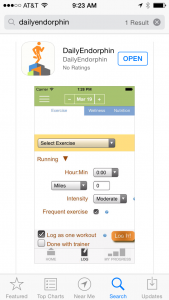 DailyEndorphin enables organizers to easily set up manage and promote customizable fitness, weight loss, nutrition, and wellness challenge events and offers back-end reporting and administrative control. DailyEndorphin’s mission is to enable people to live a healthier, happier life in the context of supportive social networks. DailyEndorphin works with businesses, health plans, wellness consultants ,employee benefits brokers, health clinics, government entities, friends, families, and communities. DailyEndorphin – An interactive website that offers creative, budget-friendly, configurable, “DIY” fitness & wellness challenges that facilitate group exercise and wellness for employers, government entities, schools, friends, families, communities, and groups of all sizes.